Paradyn and BT Ireland’s €1.2M cloud connectivity deal, pictured (L-R) are Cillian McCarthy, CEO, Paradyn and Peter Evans, director of wholesale, BT Ireland. The agreement is also expected to enable its customers, which include Ryanair, Carbery Group and several county councils, to meet strict regulatory requirements. CEO Cillian McCarthy, CEO, Paradyn, said that organisations operating in today's digital economy "require guaranteed uptime and absolute assurance that their workloads are safe and to meet those needs". "Many of our customers require the highest levels of security, as well as backup and data recovery solutions. The additional hosting infrastructure will enable us to continue to provide these services with even greater peace of mind for our customers," he said. Paradyn provides its customers with a primary and secondary internet connection to ensure zero downtime and rapid internet speeds. 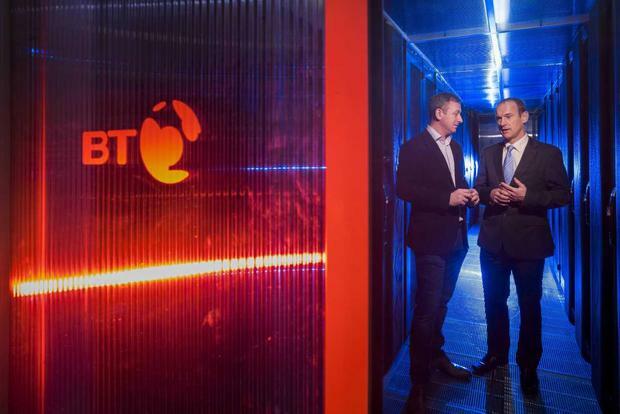 The enhanced cloud connectivity provided through BT Ireland's Citywest facility gives it access to more than 37 communications carriers globally, supporting the scale and operation needs of its clients. Paradyn manages more than 30,000 public and private sector users who use around 75,000 devices between them.